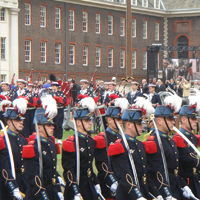 Hundreds of people got together at the Royal Hospital Chelsea to commemorate the 70th Anniversary of General de Gaulle’s Appeal. Emotions ran very high amongst all those present and especially for the last veterans who had gathered to remember that day when a handful of men refused to surrender to the Germans and instead chose to carry on fighting for what they believed, for freedom. 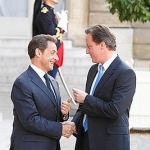 The event began with Prince Charles, the French President Nicolas Sarkozy and the British Prime Minister David Cameron laying a wreath at the foot of General de Gaulle’s Statue in Carlton Gardens where the Free French had their headquarters during World War II. Guests were able to follow the proceedings on giant screens. 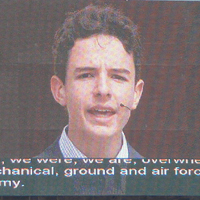 The General’s call to arms, which he broadcast from the BBC studios on the 18th June 1940, was then beautifully read out by Maxence Istre, a young pupil from the Lycée Charles de Gaulle in London. 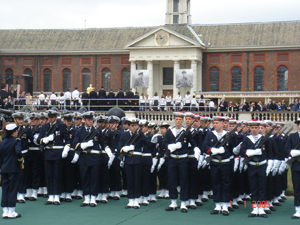 A short while later, Cameron and Sarkozy were driven to Royal Hospital Chelsea to review French and British troops and make their respective speeches. In his speech Cameron reminded us of the importance of our friendship and did not miss the opportunity to mention that his great uncle was one of the few members of the then cabinet to support Charles de Gaulle representing the Free French. Sarkozy thanked the British for authorising de Gaulle to use the BBC studios to broadcast his appeal and to allow the Free French to set up their headquarters on British soil. At that time, the British were the only ones to face the German enemy alone. De Gaulle knew that if the British could hold out long enough, it would not be long before the Americans and the rest of the world would enter the war and Hitler could only lose it. Any potential animosity between the French president and previously Euro-sceptic Cameron was layed aside as Nicolas Sarkozy stressed the importance of the French and British friendship, and a pregnant and glowing Samantha Cameron looked to be getting on well with Carla Bruni. The weather, thankfully, was fine (the French president even complimented his hosts for their organisational powers in this), which made the Spitfire’s final flight over the gathering escorted by two Mirages all the more spectacular.